This gives an excellent round shape with slight forward projection. However, I do need a smaller band and about two cup sizes larger, which does not exist. 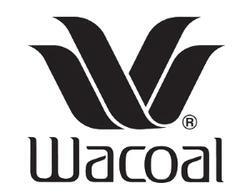 I really wish Wacoal would make cups up to I-J. I've had this bra forever. It is stretching out a little, but it fits better than any other bra I have. No wrinkles, poking, etc. And it is pretty! When I bought this, it wasn't advertised as a minimizer, or I wouldn't have bought it. It's cut high and rubs in front under the arms. The bra made my breasts too pointy. Otherwise comfortable - just didn't like the look. I very much like this bra. It has good form and minimizes without squishing you. It's also quite lovely - I love the lacy leaf pattern. The back will ride up over a few hours, but that's pretty common.